Public health surveys show that 31 percent to 57 percent of the U.S. population does not visit a dentist even once a year, reports the Academy of General Dentistry, an organization of general dentists dedicated to continuing dental education. Two visits per year are recommended for good oral health. Regular visits to the dentist can prevent cavities and gum disease, two out the three most common human afflictions. But just trying to find a dentist may deter consumers from capitalizing on preventive oral health care. “We want to help people establish a loyal, lasting relationship with their dentist,” says J. Nick Russo, DDS, FAGD, president of the Academy of General Dentistry. Ask for recommendations. Family, friends, neighbors or co-workers can be excellent sources, and can refer you to a dentist they feel comfortable visiting, or ask your family physician or local pharmacist. If you are moving, your current dentist may be able to make a recommendation or write your local or state dental society. What do they like about the office? What do they like about the dentist? Call or visit more than one dentist before making a decision. During a consultation during the dental office can be viewed and time can be taken to the dentist about treatment options and treatment plans. This involves a great deal of communication. Do not hesitate to ask questions. Make sure you feel comfortable with the dentist and office atmosphere before scheduling an appointment. Does the dentist belong to a dental organization? Do they take continuing education? What dental procedures are in-office? What procedures will be referred out? Are they up-to-date with latest procedures? It is important to develop a feel for the office atmosphere, especially if more than one family member will be visiting the dentist. Note your reaction to the welcoming reception. Do they spend enough time and answer questions? Do they accommodate your schedule? Is there an office an emergency line? Can they schedule emergencies the same day or the next day? 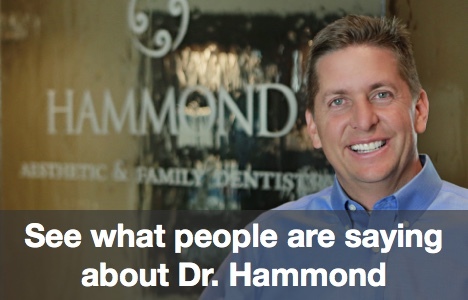 Is the dentist and dental staff personable? Do they run on schedule and not make you wait too long? Do they ask your medical history? Do they demonstrate professionalism at all time? Are they honest, patient and compassionate? Do they give you alternative treatment if finance is a concern?